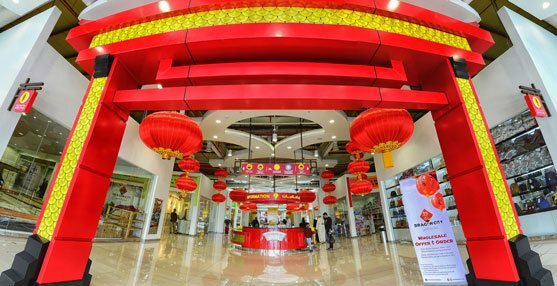 Dragon City Bahrain, the Kingdom’s largest whole-sale and retail trade centre, is all set to mark the new Chinese Lunar Year with a broad line up of activities and functions are in the pipeline to make it an event to remember for all the customers and visitors. Festivities to commemorate the new Lunar Year will take place between February 15 and March 2, 2018, where a lot of prizes and fun events will be organised to celebrate this occasion, giving shoppers the opportunity to immerse in a unique cultural experience as well as stand the chance to win valuable gifts through raffle draws that will be conducted throughout the celebration period. Moreover, a lucky customer will have the opportunity to wheel-off in style in the extraordinary FAW B50 family car which will be raffled at the end of the event. Furthermore, prizes to be distributed throughout the celebrations also include 10 air tickets to China provided by Cathay Pacific Airways, 30 dinner vouchers by Sheraton hotel in addition to 1000 red pockets that contain many gifts from Dragon City. Meanwhile, special puppy mascots will be present at the mall throughout the festival from 5:30 pm to 9:30 pm, and they will be distributing candy to all children. The organisation of special festivals to commemorate the Chinese New Year is a centuries-old tradition, celebrating the end of China’s lunar calendar. Each Chinese year bears the name of an animal of the Chinese constellations. The Chinese calendar is divided into 12 sections, each of which holds the name of an animal. But each section lasts for one year rather than one month, as it’s the case of the Gregorian or the Hijri calendars. 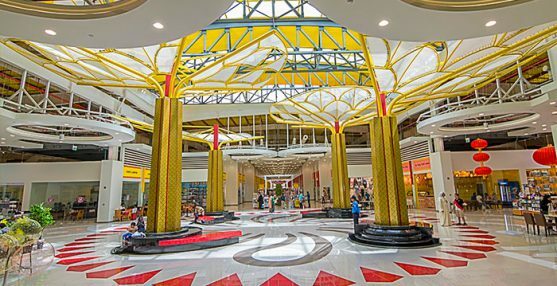 Dragon City is a first of its kind project in the Kingdom of Bahrain and it includes Dragon Mall, Dragon Apartments, Dining Village, Dragon Plaza and an allocated area for warehouses. Dragon City is home to more than 787 commercial units, effectively making it the largest wholesale and retail trading centre in the Kingdom of Bahrain. Located South-West of Diyar Al Muharraq, it is strategically located in close proximity to Bahrain’s International Airport, the state-of-the-art Khalifa Bin Salman Port and the Capital of the Kingdom of Bahrain, Manama, making it ideal and providing easy access to customers from both the Kingdom and beyond. 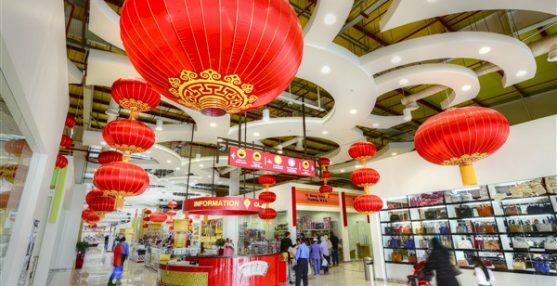 Dragon City gives to its customers, including local consumers, trade customers and tourists, an access to a wide range of offers and high quality Chinese products.